Shelina Janmohamed : On March 14, the European Court of Justice ruled that when it comes to the workplace, the ban on the wearing of “any political, philosophical or religious sign” such as headscarves need not constitute direct discrimination. But it can only be enforced if there are existing company rules requiring all employees to “dress neutrally”. It cannot be based on the wishes of a customer, it added. Or, to put it in practical terms, it paves the way for a de facto prevention of Muslim women who wear the hijab from enjoying fully the activities and benefits of the workplace. The ruling comes against the backdrop of rising anti-Muslim hatred across Europe, a rising amount of anti-Muslim violence, and elections in the Netherlands and Germany in which far-right voices are promoting a belligerent stance against minorities. And let’s not forget the US President Donald Trump’s Muslim ban. The ECJ ruling was slippery. An internal employer-led rule banning religious symbols is acceptable in pursuit of the aim of “neutrality”. But an external customer’s wish not to deal with staff wearing religious symbols would not give the right to the employer to force the employee to remove the symbol. The ruling further explained in a contradictory fashion that despite the fact that a customer’s wishes could not be taken into account, the employer could move an employee with a religious symbol away from interacting with customers. Further, the employer needed to offer such alternative opportunities. The ruling limits visibly religious people – and especially Muslim women – to being behind-the-scene roles, excluded or not fully enjoying the opportunities of the workplace and self-fulfilment. It is likely that such roles will carry less responsibility and less prestige. It will push such individuals into roles that fulfil neither their potential nor aspiration. Yet the backdrop to this is that Europe is already grappling with the fact that its company boards hugely under-represent women and minorities. In a paradoxical move, this will instead hide away minorities, especially Muslim women. Of course, minorities of other backgrounds will be swept up with this ruling. Jewish men who wear yarmulke will be affected, and there is undoubtedly growing anti-Semitic violence. Sikh men who wear turbans may suffer too. Hate crimes against minorities are also on the rise. The ruling implicitly accepts the idea that discrimination is acceptable, as long as lots of people are discriminated against equally. Which hardly seems in line with a European project that rose from the ashes of a war that had hatred at its very heart and whose aim was to create peace and prosperity between diverse populations. The Open Society Justice Initiative, a group backed by the philanthropist George Soros which had supported the women whose cases triggered the ruling, said it was disappointed. French presidential candidate Francois Fillon said that it was “an immense relief, not just for thousands of companies but also for their workers”. People who wear crucifixes or headscarves will wonder about the emotional insecurities of such companies and individuals whose very mental wellbeing seems threatened by someone’s necklace or pashmina. The Conference of European Rabbis, with a membership of more than 700 Jewish leaders across Europe, said Europe was sending a clear message that its faith communities were no longer welcome. We know that securing employment is already harder if you have a Muslim or minority ethnic name. A recent BBC study put this at three times harder in Britain. 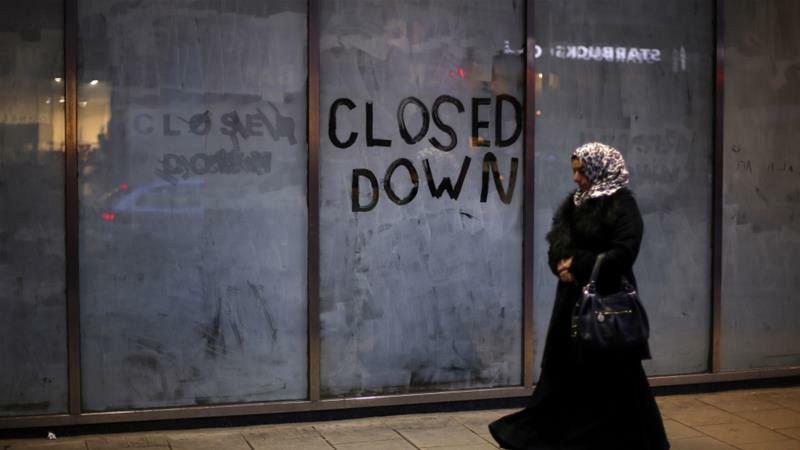 The UK’s Women and Equalities Committee did a study into Muslim employment last year and found that Muslim women suffer a triple penalty in the workplace, for being ethnic, Muslim and female. In France, a 2014 CV testing showed that a Muslim woman wearing the hijab when applying for a job had a 1 percent return rate, while in Belgium 44 percent of employers agree that wearing a hijab can reduce a candidate’s chances, according to a report by the European Network Against Racism (ENAR). European politicians have been proclaiming the need for Muslim women to become more integrated into society. Former UK Prime Minister David Cameron announced funding for English language lessons for Muslim women to push for great integration and employment. There was no evidence to suggest language is an issue, but there is plenty of evidence that employment discrimination is a big factor in Muslim women’s progress. 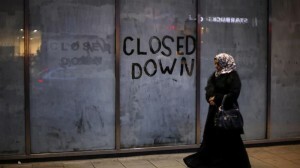 The ECJ ruling adds another barrier to an already difficult journey Muslim women face in the workplace. The fact that this ruling affects Muslim women disproportionately should not be lost on women in general. Fighting for women’s rights and recognition in the workplace is an ongoing mission and this ruling should be seen very much as a blow for the movement as a whole. Women who support this ban should take a good hard look at how women’s rights are intimately tied to rights of minorities. It’s a universal truth that those who wish to target minorities will not be shy of extending their oppression to women too. Women’s workplace dress is always political. Take the case of a UK company that sent home a woman for refusing to wear high heels. It was rightly criticised and an ensuing national debate discussed how we need to move away from singular traditional ideas of femininity and in particular to ensure that women do not suffer disproportionate discrimination because of their gender. The same applies to Muslim women’s clothing. The cloth of the headscarf – unlike crucifixes or yarmulkes – has no inherent religious meaning. A woman who had experienced chemotherapy might wear it. Or a woman of West African heritage who wears a traditional headcover may or may not be Muslim. But it would only be the Muslim woman who would be penalised, again punished for her religious identity. Another area to consider is the gender pay gap. Even the already dismal disparity often fails to highlight how women of minority backgrounds experience an even bigger gap. Being further pushed out of roles which allow for progress and decision-making within companies will further increase the pay gap that Muslim women suffer. The other red herring is the issue of neutrality and secularism. These notions should not be as such rulings suggest about the erasure of identities and freedoms in the public space but rather about fair treatment. Neutrality is about allowing everyone to have the greatest chance to live up to their highest aspirations, not pandering to the lowest common denominator of homogeneity, which only serves to crush our brightest sparks. This is a disappointing ruling by the ECJ which feels more motivated by the political climate than the fair treatment, rights and long-term inclusion of different expressions of European identity and in particular of European womanhood. Our hope now rests with employers who understand the importance of diversity. Not only is demonstrating respect for their diverse employees and allowing them the freedom to express their religious identity the morally right thing to do, it is also the means to creative and commercial success. Shelina Janmohamed is the author of Generation M: Young Muslims Changing the World and Love in a Headscarf.